Obituary for Judith Anne (Martin) Shafer | Timothy K. Slater Funeral Services, Inc. Passed away, Sunday, March 18, 2019. She is at peace with her Lord and Savior. Judith (Judy) is survived by her children Brad (Lisa) and Katie Shafer, grandchildren Michael, Regan, and Ryan (Merilee), sister Mary Cook, brothers and sisters-in-law Harold and Myrna Shafer and Jerry and Rosemary Shafer, and many nieces and nephews. She has been rejoined in heaven with her devoted husband of 52 years, Kenneth R. Shafer, who passed away December 6, 2017. Also preceded in death are her parents, Geneva Wesley, Eugene Martin, Raymond Wesley and grandparents Alfred and Nannie Cain. Judy was born June 2, 1944 to Geneva and Eugene Martin, in Ohio. 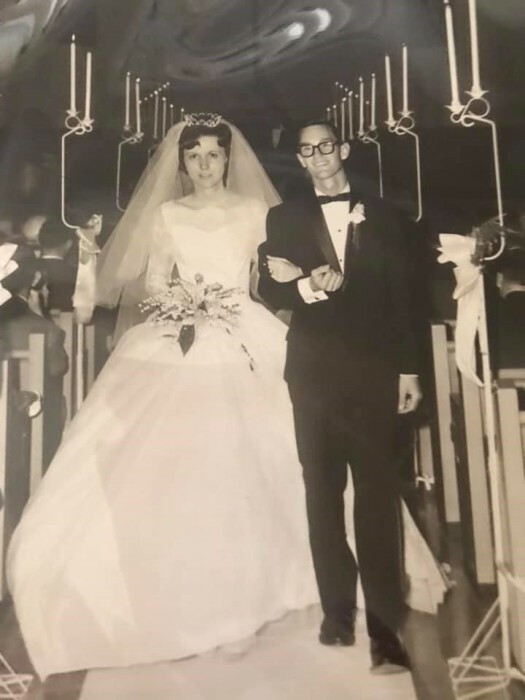 She married Ken Shafer on August 6, 1965, after meeting in Anderson College. The couple then resided in Detroit, followed by Warren, Michigan, where they raised their children. Judy enjoyed working as a secretary for General Motors under the Buick, Oldsmobile and Cadillac division at the Warren Tech Center. After retirement, Ken and Judy lived in Union Hall, VA, near Smith Mountain Lake. Her hobbies included chatting/reminiscing frequently with her best friend from childhood, Anna Fisher (Lizard), lounging in her swimming pool, reading, watching every episode of NCIS, and loving her grand-dog, Scarlett. The family will be holding a private memorial gathering as her remains are placed with Ken’s at Spring Grove Cemetery, Cincinnati, OH. Friends are encouraged to make donations to the National MS Society, while holding family members in thoughts and prayers.